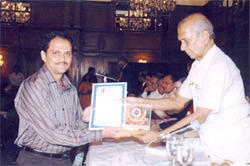 Dr. Joy’s award winning homeopathic treatments. Dr.Joy’s vast clinical expertise & research in homeopathy. More than 90% success rate with ‘o’ side effects. Disease cured without surgery for piles, and fistula, adenoid, tonsillitis sinusitis etc. Exclusive Dr. Joy’s treatment for diabetes, infertility ,thyroid ,cholesterol, trichology and hairloss. Even those not able to visit the clinic for consultation for diabetes and thyroid can get the medicines by courier to their address in India or abroad just by sending your blood sugar fasting and p.p.s readings ,T3,T4,T.S.H readings to my email id drjosyjoy@gmail.com.